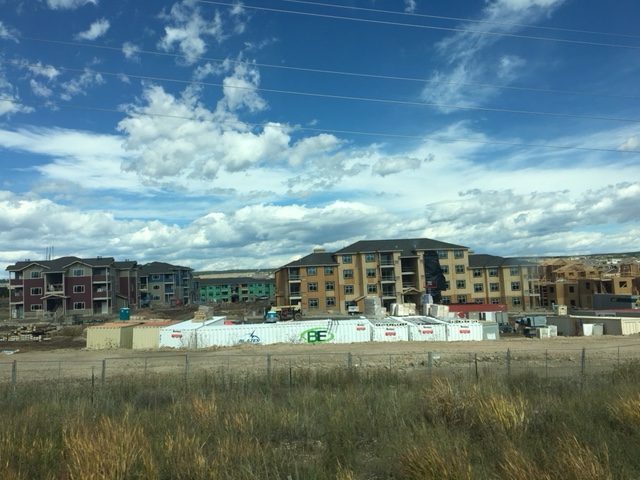 Since 1983, El Paso County has financed the development of thousands of units of multifamily housing through the issuance of tax-exempt bonds. This is primarily accomplished through the issuance of Private Activity Bonds (PAB), which are typically coupled with federal Low Income Housing Tax Credits (LIHTC). These projects range from newly constructed complexes to acquired and rehabilitated properties in return for a lower interest rate on the loans and potential tax credits. In exchange, each project sets aside some or all of their units for County residents of low- to moderate-income. While some of these projects are no longer subject to these restrictions, the following developments still provide some of their units for affordable housing pursuant to County guidelines. Traditions: El Paso County issued PAB for for this 180 unit affordable senior complex. The El Paso County Housing Authority (EPCHA) also provided a $1.3M loan.